This could be the most unique reason for recycling that we’ve heard about here at Environment911! 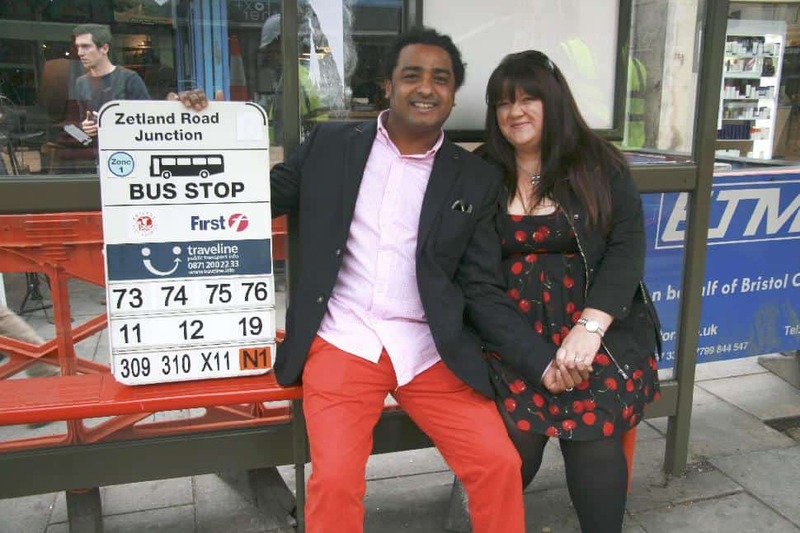 A very ordinary bus stop in the UK has a very special meaning for Aly and Micheala Hussien. When their friend, Tat Mersy, realised that the stop on Bristol’s Gloucester Road was due to be replaced, she wrote to Bristol City Council explaining that Aly and Micheala met because of the bus stop and that they would really appreciate a part of the stop as a momento of their romantic meeting. The bus stop was located outside Aly’s business, the Blue Lagoon, and was due to be replaced as part of an improvement scheme. Bristol City Council is using £30,000 Local Sustainable Transport funding to carry out public realm improvements in the Promenade Area of Gloucester Road. The seat and bus stop flag will now be handed over to Aly and Micheala thanks to the special request. Aly spotted Micheala eight years ago as she regularly waited for her bus at the stop after leaving her job in a nearby flower shop. Whoever said that romance – and recycling – were dead..?